Luis received his PhD from the University of Sao Paulo, Brazil (under the supervision of Dr. Carlos Menck), working in close collaboration with Dr. Bernd Kaina at the University of Mainz, Germany. 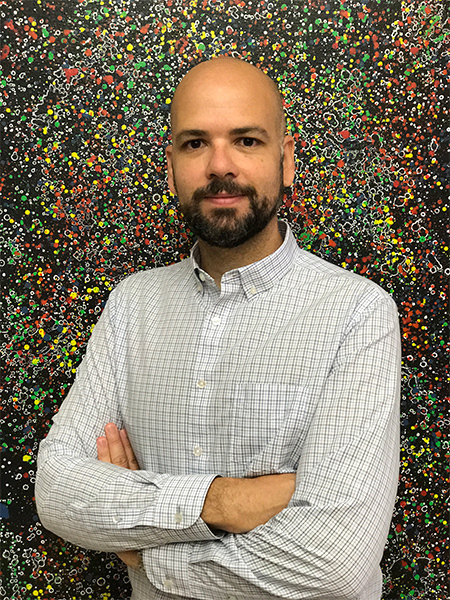 After his postdoctoral training with Steve Artandi at Stanford, Luis joined Washington University in St. Louis as an Assistant Professor in 2014. When not in lab Luis enjoys playing tennis, cooking, watching soccer and spending time with his daughter! Wilson defensed his PhD at the University of Texas Health and Science Center under the supervision of Arlan Richardson, where he focused on characterizing the mechanisms underlying lifespan-extension of rapamycin treatment in mice. 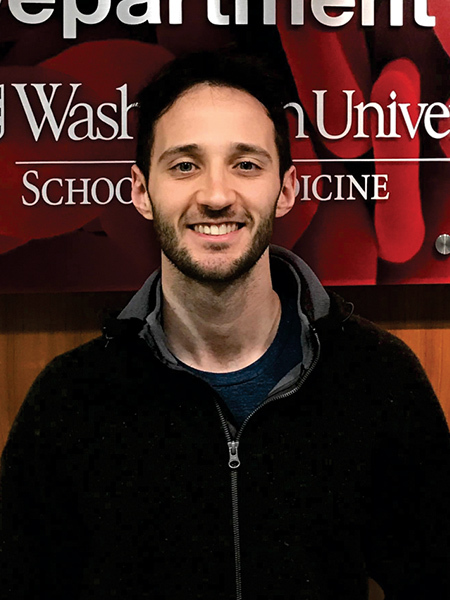 Wilson joined the lab in 2014, where he has been studying how telomere dysfunction affects human hematopoietic development, using in vitro differentiation of human pluripotent stem cells as a model. Wilson has received an NIH T32 postdoctoral fellowship and the Adel Yunis Award for his scientific achievements during his postdoc. In his spare time Wilson enjoys cooking, reading, listening to classical music, and playing the violin. Alex joined the lab in 2016, shortly after completing his PhD at the University of Sao Paulo, Brazil and University of California San Diego. During his PhD, Alex focused on developing a novel human induced pluripotent stem cell model to study syndromes of premature aging. 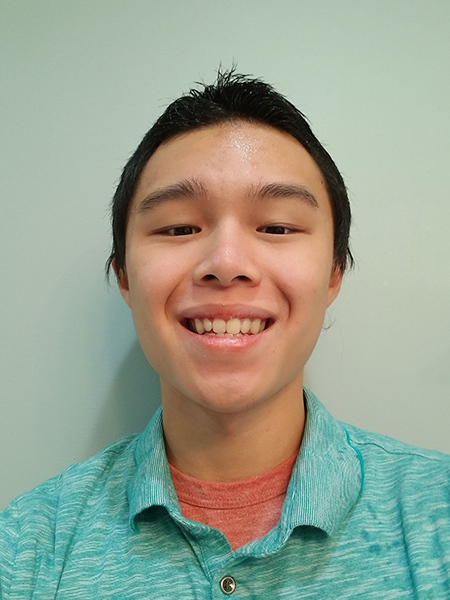 Alex is interested in understanding the impact of telomere shortening on the metabolism of human stem cells, and how these processes impact tissue aging. Alex has received the Majerus Fellowship for Postdoctoral trainees in 2016 and the Adel Yunis Award for scientific achievements. Outside the lab, Alex enjoys watching a good movie, reading a book, and having a nice meal. Hochang received his B.S.in the Department of Oriental Medicine Biotechnology at Kyung Hee University in 201. 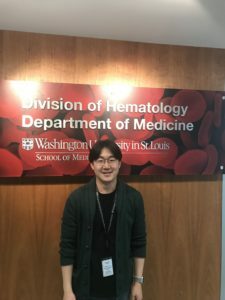 He then moved to the Department of Life Science at Sogang University (under the supervision of Dr. Hyuk-Jin Cha) where he received hi PhD in 2017in 2017. 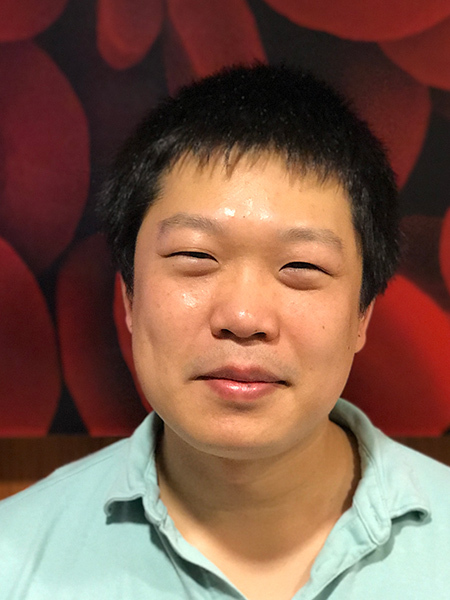 Hochang joined the Batista Lab in 2018, where he interested in deciphering the role of telomerase and telomeres during hematopoietic and hepatic development. Outside the lab, Hochang enjoys riding his bike and watching a movie with beer. Kirsten graduated from the University of Missouri and joined the Division of Biology and Biomedical Sciences (DBBS) at Washington University in 2013. She then joined the Batista Lab in 2014 where she has been working with potential “non-canonical’ roles of telomerase components in human stem cell biology. 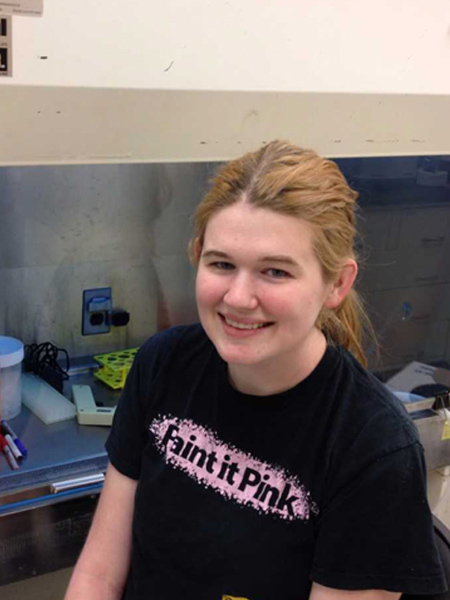 Kirsten is the recipient of a PhD fellowship from the National Science Foundation (NSF). Kirsten’s “outside” interests include drawing, white wine, her dog, and brunch. Outside the lab Michael enjoys spending time with his girlfriend and their dog, playing golf, and enjoying good food! Ed is a third year undergraduate student at Washington University in St. Louis. 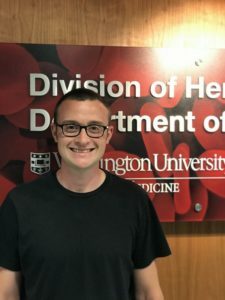 He joined the lab in 2017, and plans to learn lab techniques and increase his knowledge on aging research. Ed plans to apply for medical school and pursue a MD/PhD.